Standardized testing, Spring Fever, and Spring Break all play their part in the month of March. It can make it more challenging to focus students’ energy and attention while also helping them prepare for upcoming testing. The ideas for this month’s bulletin boards help build team spirit, capture students’ attention, and create colorful displays in the classroom. Give them a try! No one likes standardized testing time, especially students, but you can create an atmosphere of team spirit as your students pledge to do their best on the upcoming tests. 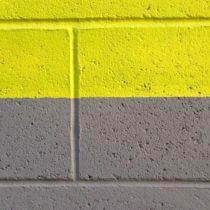 Cover one bulletin board or wall with one of your school’s colors. Then use a paw print trim that coordinates with the color to outline the board. At the top of the board write (or use cut-out letters) “I Pledge to Do My Best on the Test”. Each student then gets a color coordinated paw print to write their name on and hang on the board. Consider inviting all of the students in your grade level (or even the entire school) to put their “paws” on the pledge. Check out all of the paw print colors and patterns from Really Good Stuff. Give your math bulletin board a Western feel by encouraging a math fact round-up. Create “Minute Math” drills and place them in hanging folders that are placed on a table below the bulletin board. When students complete the review activities, they can place their “Wanted” poster on the board. Use a Western trim to complete the look. Vocabulary plays a large part in standardized tests. Without a strong vocabulary background, students can falter when it comes to reading. Use one of March’s bulletin boards to go wild about words. Use a plain background and trim it with a wild animal print border. “We’re Wild About Words” can be the title of the board. Hang four small sandwich bags from the board labeled with: nouns, verbs, adjectives, and adverbs. Write the vocabulary words that you want students to practice on wild animal print craft sticks or color coordinated paw prints and have them place the word in the correct bag. You can also display a word of the day and keep the board up year round. 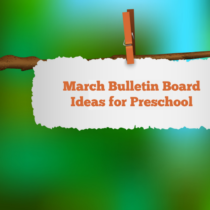 What are some of your favorite March bulletin board ideas? Share them with us below!